Giveaway! WIN This Avengers: Infinity War Bundle! It’s here guys and gals! 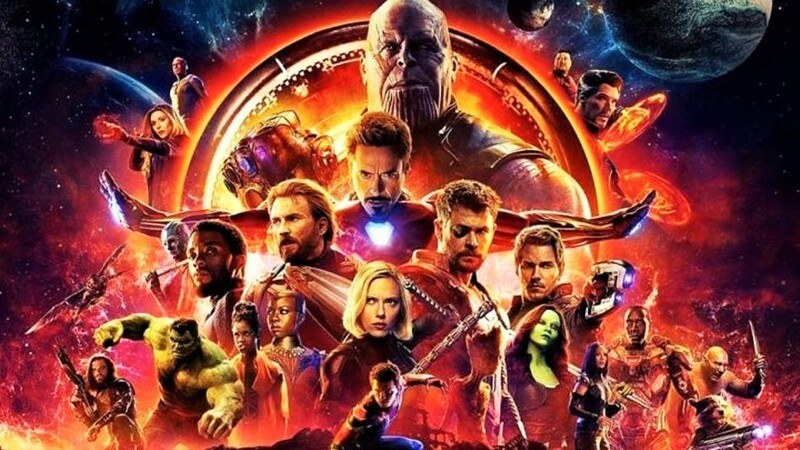 Surely what it set to be THE ultimate showdown of superhero proportions, Avengers: Infinity War will be hitting the bit screens in the UK and well… we’re pretty excited! When the evil Thanos begins his mission to find and collect all six Infinity Stones which will give him unparalleled powers to twist and destroy the universe as we know it, The Avengers and a few of their superhero friends must join forces to defeat him and prevent his evil doing. Sounds like a quiet night in, right? Being pretty big Superhero nerds ourselves, natually we find our collection always being topped up with superhero goodies and with the release of this action-packed and fully star-studded movie, we have been working hard on our Avengers: Infinity War merchandise! 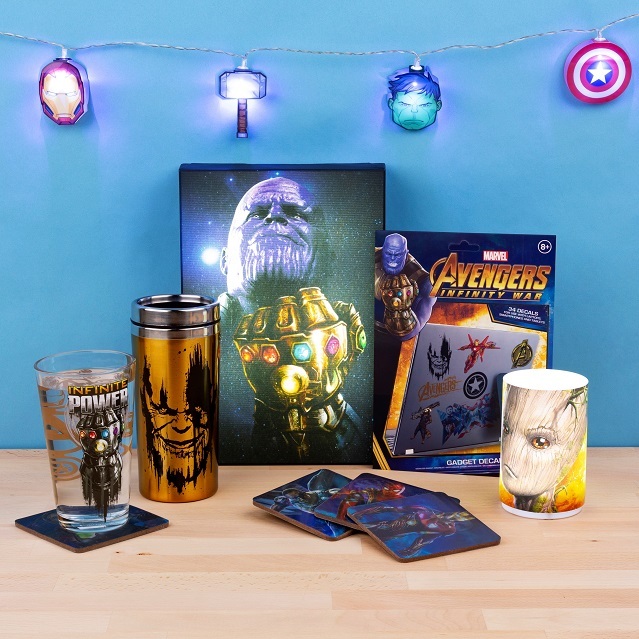 With all these goodies to pick from and with support from the amazing guys at Paladone, we’re giving you the chance to win; Marvel Avengers Infinity War Glass, Marvel Avengers Infinity War Lenticular Coasters, Marvel Avengers String Lights, Marvel Infinity War Gadget Decals, Marvel Infinity War Travel Mug, Marvel Infinity War Luminart, and the super cool Infinity War Travel Mug. Yeeesh! The competition will close at 11:59pm on Wednesday 2nd May (2/05/18). Valid entries made any time before then will all be counted. After this time, the system will not accept any further entries into the prize draw. Keeping things fun and fair… totally at random! The nifty Gleam system will hop, skip and jump into all your entries and pick out our lucky winner at random. Don’t forget! The more ways you enter, the more chance the plucky little Gleam bots will pick you like tickets out of a hat. There will be no cash alternative of prizes offered. If we do not hear back from the winner within one week, another will be chosen at random and contacted. We reserve the right to cancel the competition at any time without warning (very last resort). Next PostNext We Love These So Much It’s Scary! Exclusive New Point Horror Clothing!